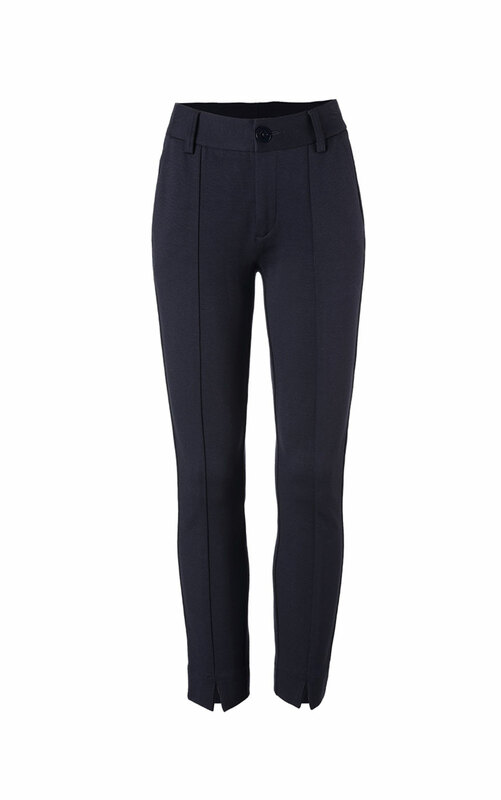 A modern and flattering silhouette in classic navy makes a statement at the office or the after-party. 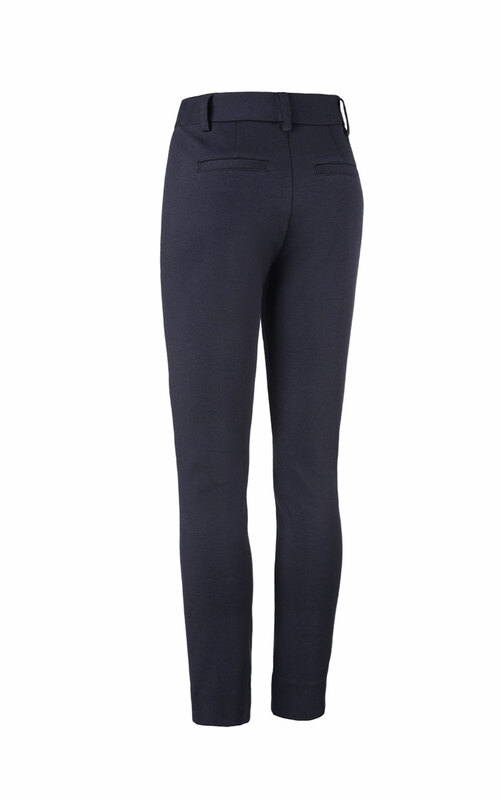 The slim fitting Agency Trouser has a slightly higher rise, seam down the leg, and an ankle hem that ends in a small slit to highlight your shoes. Loving the Agency Trouser? Share how you’re wearing it on Instagram, and browse through all the inspired ensembles for fresh ideas.